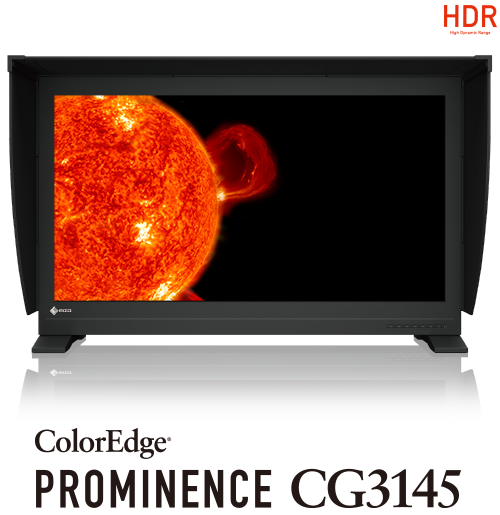 EIZO's HDR reference monitor, ColorEdge PROMINENCE CG3145, is the first monitor to overcome the severe drawbacks of other HDR technologies that are available in the market today so it can be used reliably for post production work. It achieves the 1000 cd/m2 brightness level and 1,000,000:1 contrast ratio needed for true HDR display, making it ideal for color grading in the HDR workflow. In addition to the ColorEdge PROMINENCE CG3145, EIZO offers HLG (hybrid log-gamma) and PQ (perceptual quantization) curves for many current CG Series monitors. The optimized gamma curves render images to appear more true to how the human eye perceives the real world compared to SDR (Standard Dynamic Range). 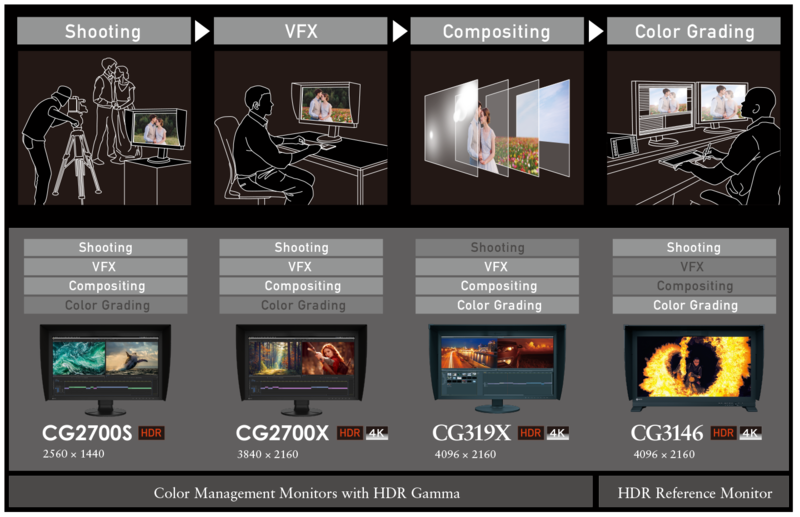 The wide color gamut of the ColorEdge CG Series faithfully reproduces almost the entire DCI-P3 standard used in digital cinema. It also covers 100% of the Rec. 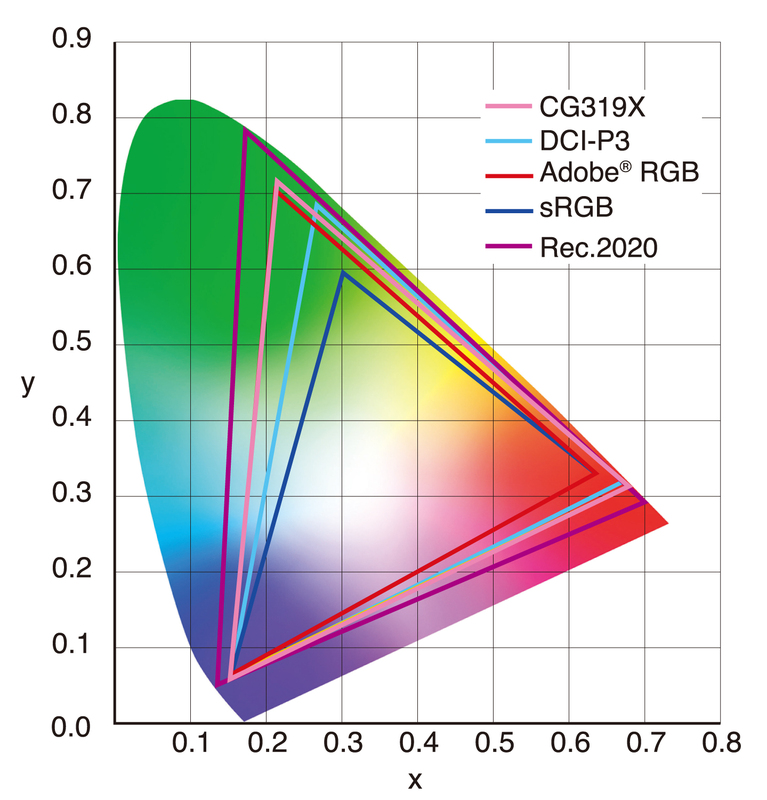 709, EBU, and SMPTE-C standards and 99% of Adobe® RGB. ColorEdge 4K monitors also include a preset mode for viewing Rec. 2020 contents that is easily accessible via a button on the front of the monitor. Not applicable to the CG2730 or CG2420. 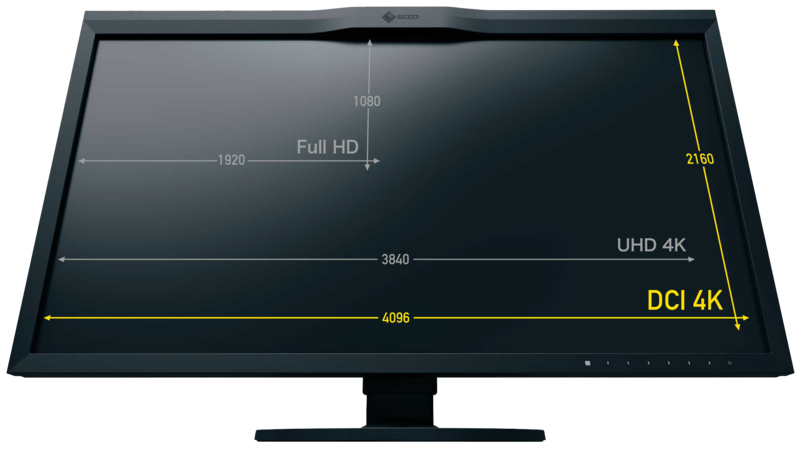 In compliance with the DCI standards, most ColorEdge CG Series monitors offer a high contrast ratio of 1500:1* for producing true blacks that are otherwise difficult to display on a typical LCD monitor. When viewing the screen from an angle in a dimly lit room, dark tones typically appear washed out due to the display characteristics of LCD backlights. The CG Series is equipped with a film which allows tones to retain their depth even when viewed from an angle. The CG Series also come with backlit control buttons to improve visibility in dark studio environments. EIZO offers a number of software solutions to ensure studios achieve accurate and consistent content display throughout the workflow. 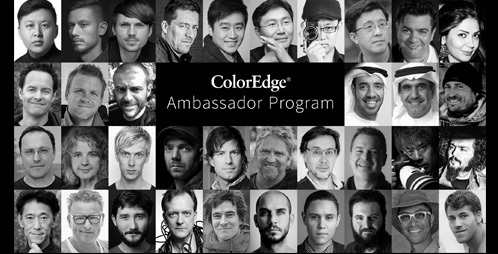 ColorEdge monitors come bundled with EIZO's own ColorNavigator 6 color management software which allows you to easily carry out calibration. 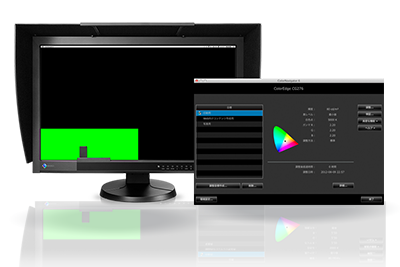 ColorNavigator NX quality control software offers QC and asset management of client ColorEdge monitors. It covers calibration, emulation, built-in sensor correlation, and color mode settings. ColorNavigator Network allows administrators to easily manage multiple monitors on a studio network simple, saving the time and labor of adjusting monitors manually. More about Color Navigator Network.